Diary of a Short Woman » Blog Archive » Signed Bookplates! Can’t make it to a book signing? I’ll come to you! Well my signature will anyway, through the mail. 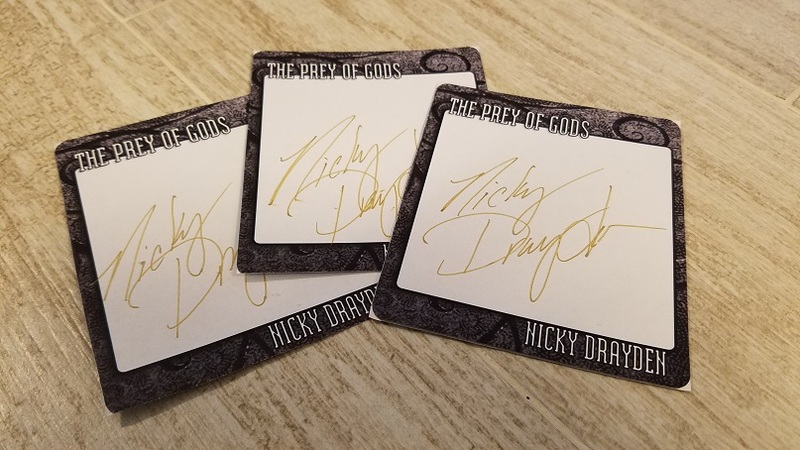 Signed bookplates available to readers for FREE! I’ll ship to U.S. and Canada, and also internationally as long as the postage is around a dollar. Click here to fill out this short form. Thank you, dear readers! I’m so, so happy that we’re creating worlds together! I’m halfway through Prey of Gods and I can already tell that I’m going to be a life-long fan of your work. Thank you for taking the time to pen such an interesting novel with an importantly diverse cast.